When one thinks of fast food I’m not sure anyone thinks of culture. The food isn’t that distinguished after all. However every organization has a culture. Some are good, some are bad, and some are exemplary. 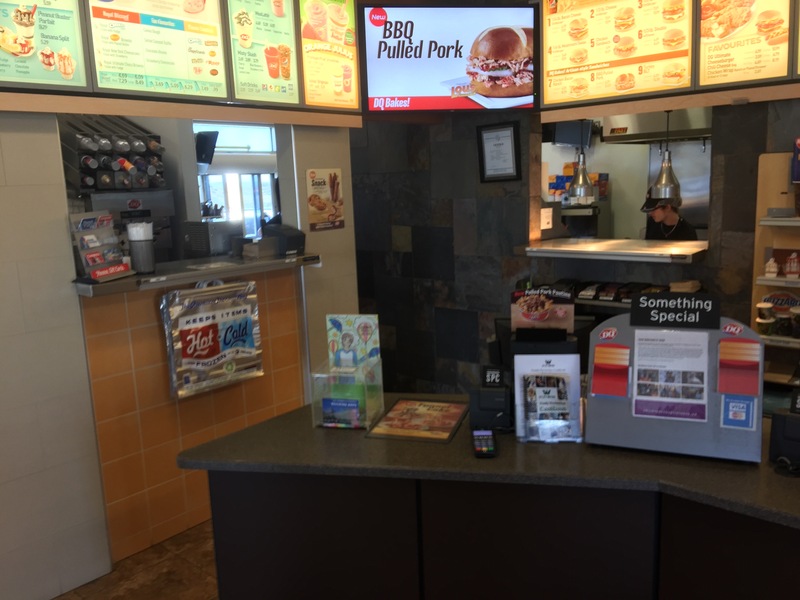 When it comes to a franchise restaurant there are different levels of culture. I worked at the Sherwood Park DQ’s and there were three levels of culture. Each individual store had it’s own culture, there was a broader culture that was a part of both stores, and there was the franchise culture. One could also argue that within the franchise there are different lievels of culture based on marketing regions, however for our sake we’ll skip those! 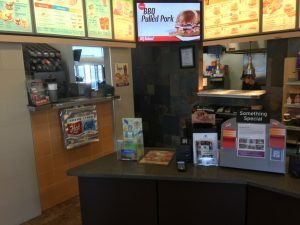 One of the new format DQ Grill and Chill Restaurants. The Sherwood Park DQ’s have changed much since I worked there. The change in cultures are reflective of the leadership at any given time. As management changed at each individual store, the cultures diverged between the two stores leading to two very different stores. The first lesson I learned about culture is that leadership matters and is instrumental in creating culture. Particularly the motivation of the leadership sets the culture. A manager seeking to help his staff thrive and succeed and not just make money for himself is going to establish a very different culture than one who takes his staff for granted. Needless to say the culture would be visibly different in those two different scenarios. I’m not wanting to make a point on culture in a specific store, more I want to give context for the larger conversation on culture. The culture of the DQ franchises as a whole is set by the leadership and hopefully lived out at each individual store. The culture of the DQ has changed over the years. Some people might remember tv commercials with mountains of chocolate and rivers of hot fudge. The jingle went with it spoke about the land of Dairy Queen. In many ways that shaped DQ for a generation. Working at DQ I realized there was a magic to DQ that was missing in a lot of other franchise chains. DQ was unique. The fact the DQ products were made before the eyes of the customer led to a sense of magic. A child watching someone dip a cone the first time. A teenager laughing as a blizzard is flipped upside down to show it is upsidedownrightthick. Customers amazed as we made dilly bars and buster bars right before the eyes realizing that they were hand made. The odd time I brought a DQ ice cream cake upstairs to finish making it always was fodder for conversation with a customer. The fact that all the products ideally had a curl on top and would look just like the picture amazed people. DQ was magical. DQ was an experience and a treat. You could watch every product being made. That is unique in the fast food world. Inside the new format DQ. You’ll notice the ‘window’ on the left of the photo. Behind that is where all the DQ soft serve products are now made. Well it was unique at least. You see Dairy Queen has changed. The culture of magic and wonder has become one that is anything but. Dilly Bars are bought wholesale from suppliers. All new DQ’s, and a lot of renovated ones have an area hidden from view where soft serve products are made. DQ has changed it’s culture. 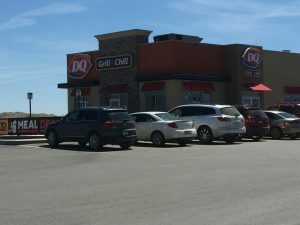 The land of DQ has become the DQ Grill and Chill. The new format has many benefits, but one of the consequences of it is the magic seems to have disappeared. Is it a big deal? Well what would you say if Disney lost the magic of their resorts? Every culture change comes at a cost, and the cost of the new DQ culture is the magic is lost. What would I do to bring it back? Stools for kids to stand on as they watch products be made. Have kids help dip or make a cone when it’s not as busy. Ensure every DQ cake is made in the sight of the customer rather than in the back or in the basement. Make sure every blizzard is flipped upside down (as it’s supposed to be). I would do everything possible to put the magic experience back into the DQ. I’m not saying compromise on speed, I’m just saying remember how special the DQ is. So there are the lessons I learned on culture at the DQ. Leadership establishes culture. Changes in culture always come at the cost of something. One can always make the choice to change back – though I do believe that is rarely done. I hope someday though to see the magic back in the DQ. I have really enjoyed these lessons, Mike. Thanks for sharing them!